St. Clement’s School believes strongly in the notion of community, so much so that it is one of our articulated values. We believe that we draw strength and support from openness, inclusiveness, and the spirit of growing, learning, and playing together. Our community shapes us in powerful ways. Community is- and should be- a positive influence on who we are as individuals. As a school, we have a tremendous responsibility to ensure that the St. Clement’s community enables our mission of developing young women who are intellectually curious, courageous and compassionate. In addition, we must also support our beliefs about equity, diversity and inclusion. As our School’s Diversity Statement articulates, we value each community member’s identity and well-being. Together, we learn and grow by embracing multiple perspectives, experiences, and cultures. Our differences are our strengths. This past week highlighted the importance of community in a number of ways. 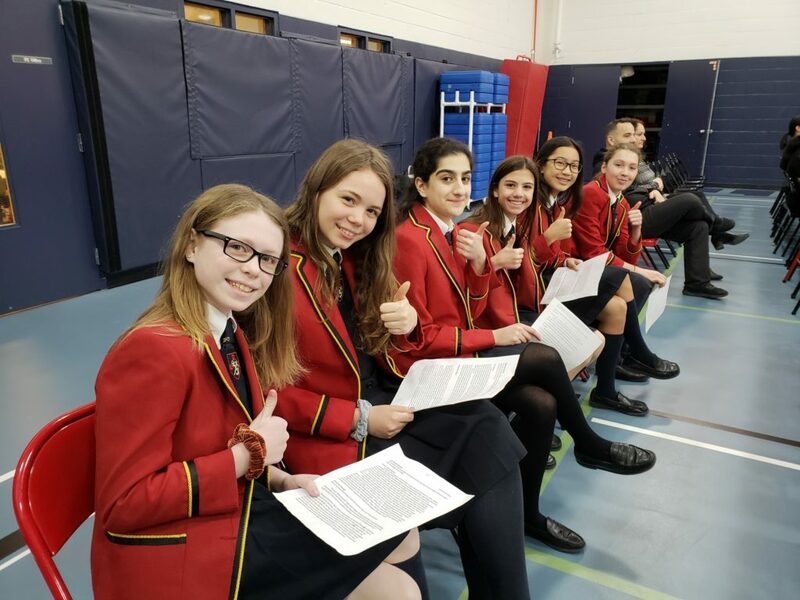 In addition to a wonderful breakfast for all students and staff hosted by LINCWell on Wednesday, our Red Reads assembly the day before reminded us of the power of community. Our annual Red Reads event at St. Clement’s asks our girls from all grades, as well as our staff, to identify a book that they believe best supports a chosen theme. This year’s theme was community. Students and staff, using pseudonyms, submitted their titles and then the finalists were revealed and presented to the entire school. After a school-wide vote the finalists present their views on the winning book. This year we had two final picks: A Junior School choice of Garfield Comics, and an Upper School choice of The Hate U Give by Angie Thomas. In assembly on Tuesday, Upper School students shared their thoughts about why The Hate U Give best represented community. The Hate U Give is a powerful story of Starr, a black teen who is straddling two worlds: the poor community in which she lives, and the fancy private school which she attends. Starr witnesses the fatal shooting of one of her closest friends at the hands of the police and faces a complex choice of whether to speak up and possibly risk her place in one of her two communities. I was proud of our girls as they identified the very real tension between being members of a community while maintaining a sense of self. The value of community cannot be underestimated. It informs who we are and influences how we feel. We must be sure that we recognize its power and always ensure that we consider each member’s identity and well-being and appreciate the contributions these bring to the community as a whole. For, our differences are out strengths.